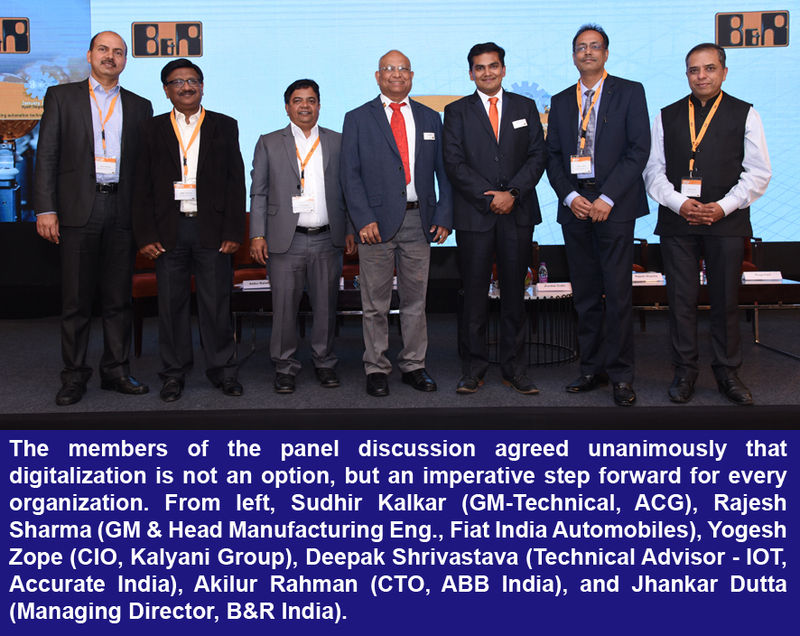 The fourth edition of B&R India’s “Innovation Day” once again provided a platform for thought leaders, industry experts and decision makers to share ideas on the Industrial IoT, smart manufacturing, design efficiencies, Industry 4.0 and digitalization. This year’s event welcomed more than 200 attendees with a mix of technical presentations, live demos and a panel discussion – whose members agreed unanimously that digitalization is not an option, but an imperative step forward for every organization. By encapsulating frequently recurring machine functions in thoroughly tested software components, B&R’s mapp Technology helps them do precisely that. “mapp enables easier maintenance and diagnostics by giving us access to control variables without the need for dedicated software, special training or access to source code,” explained Baste. Industry 4.0 – What is in it for me? The highlight of Innovation Day 2018 was a panel discussion titled “Industry 4.0 – What is in it for me”. The discussion addressed various aspects next-generation Industrial IoT, Industry 4.0 and digitalization technologies. The panelists examined challenges in adoption from the perspective of Indian organizations, as well as the benefits to be gained from successful deployment and the steps they can take to get there.